This time, we would like to feature a variety of Cortijos for sale in Andalucia. This typical Cortijo-style still is an inspiration for our clients. Some are closer to the beach, some are reformed, old farmhouses. Others still have the stables in one of the wings, and again, others converted those to the guest accommodation. 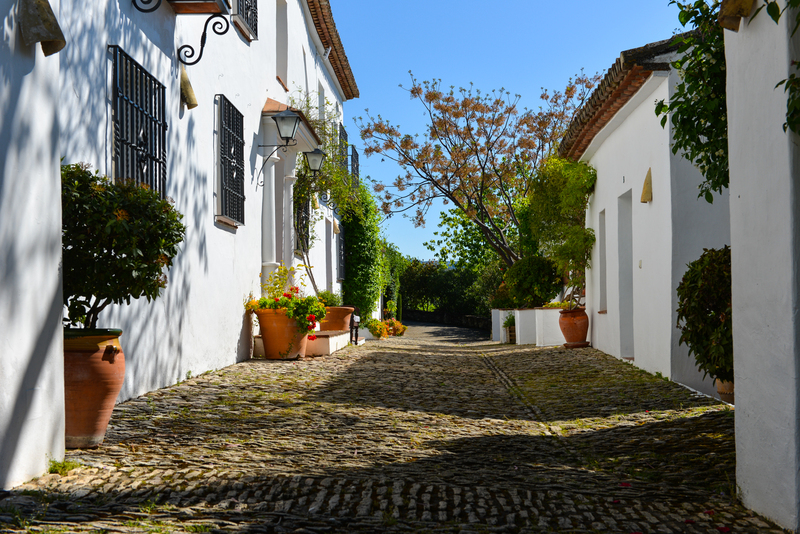 When clients are looking for typical Andalucian style houses, they are often looking for Cortijos for sale in Andalucia. The architecture of the original Cortijos counts with four wings, built around a traditional courtyard. One of the wings was dedicated to a stately “Casas Señorial”, the owner’s residence. The other wings, of simpler finishings, contained accommodation for the workers, stables and sheds. If the owners were very well off, there was even more than one courtyard, keeping the Casa Señorial completely private. In new built as well as in reforms, they ask for a pebbled courtyard, the fountains and the old, antique wooden doors. Antique stone animal feeders are used as planters and the large “tinajas”, jars in which the olive oil was stored are added in the garden for decoration. And of course, inside, the floors are finished with either the traditional clay tiles, marble or the typical “Baldosas hidraúlicas”, the mosaic floors that remind us of the Moorish times. 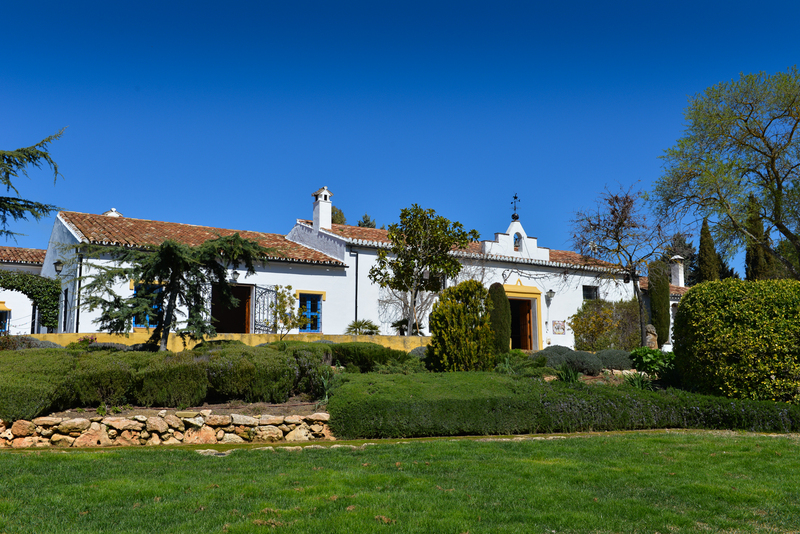 First of all, this country house is an oasis of peace and tranquillity, near Arriate, Ronda. 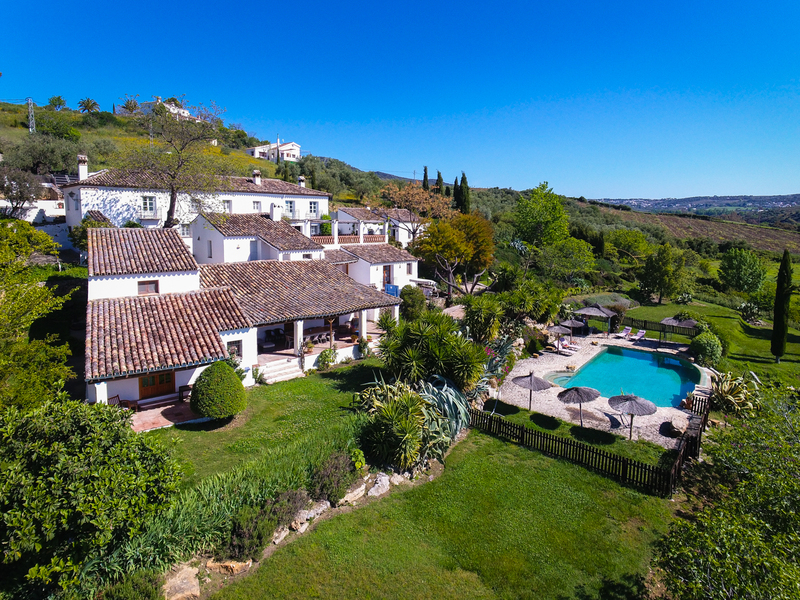 With pebbled courtyards, wall fountains, the emerald gardens, panoramic views towards the Arriate valley and the Ronda mountains… This Cortijo really is something else! 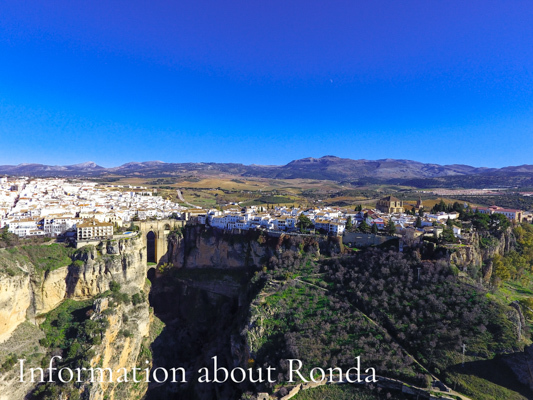 It has panoramic views towards the Arriate valley and the Ronda mountains. Another Cortijo for sale in Andalucia is located in a prime position. Near Gaucin, Málaga. With modern yet authentic features. Open to offers, this country property is ideal for have horses, a holiday getaway… It has panoramic views over the Genal valley, and even of the Gaucin village! A Cortijo styled around a central courtyard with feature fountain. Near Ronda, Málaga. This property has some stables, with many areas to go biking, trekking or on a hack, whilst taking in the beautiful nature that surrounds. 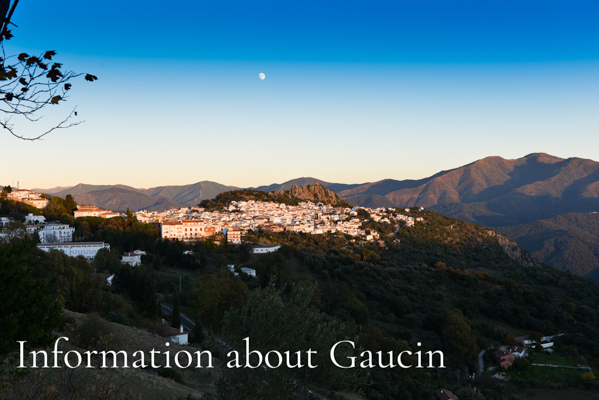 With views to Ronda and the Grazalema mountains, it’s hard not to appreciate the hidden gem this Cortijo is! Lastly, an outstanding estate in a splendid setting and wonderful views. Near Sotogrande, Cádiz, Costa de la Luz. Here you live in harmony surrounded by splendid nature. Ideal for country lovers who want to have the coast and its facilities at easy reach. We regularly provide blog posts on a variety of topics and areas in Andalusia, on our Andalusian Lifestyle page. 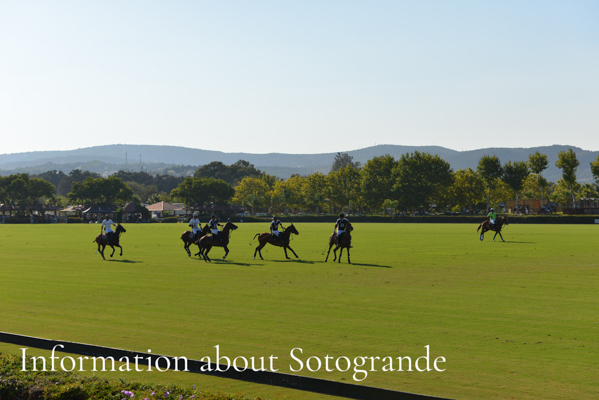 Here you may find some information about the areas we have mentioned above. 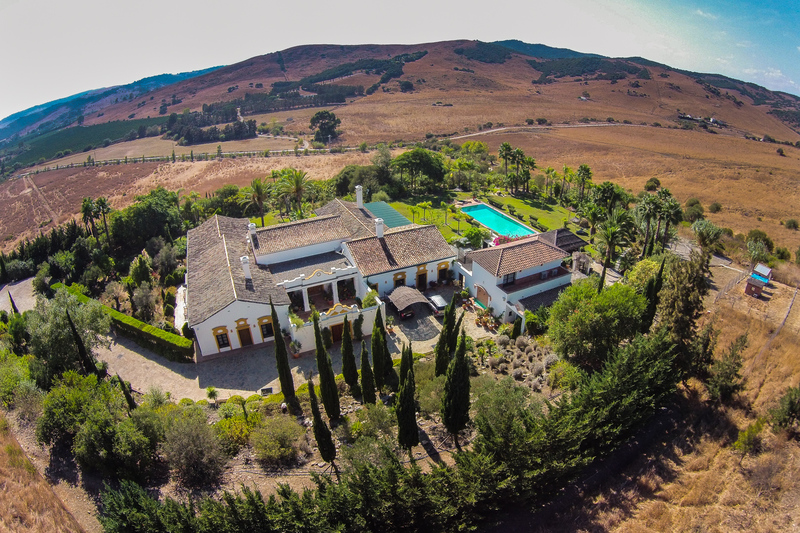 To see our full listings of Haciendas & Cortijos for sale in Andalucia, please click here.